After having a hit, you’ll struggle to put them down. Soft off the face with control, forgiving on mis-hits. Large off-set and unusual shape may put off lower handicappers in the category. James and Chris liked the gunmetal finish, but James and Joel weren’t fans of the size, shape or large amount of offset. Joel also said it looked strange without a ferrel covering the join between the head and shaft and found it quite off-putting. Kit also didn’t enjoy the head shape or finish, but couldn’t fault the performance. Despite three testers not being won over by the looks, performance across the board was high. Feel and forgiveness scores were sky-high, surprising all our team. Distance was about average, but the distance control really stood out. Joel’s distance was above average at 172 yards. I’ve flitted between the G20 irons and the slightly less forgiving i20s, essentially because I prefer the more compact look of the latter. The G20s, as brilliant as they are in terms of forgiveness, are just a little on the chunky side. Ping have addressed this with the G25s. They still look reassuring behind the ball, but aren’t off-putting. And what’s truly amazing is that these seem to be even more forgiving than their predecessors. So, essentially Ping have been able to make the irons easier to hit, but at the same time reducing the size of the club. I’ve always hit my irons pretty high as a rule, and it’s a similar story with the G25s. But I have noticed the shorter irons seem to fly a little lower than I might have thought, whereas the long irons are still orbital, which is clearly great for attacking long par 3s. I’ve saved the best for last – these irons offer sensational control throughout the bag; consistent distance is something we all want, and the G25s deliver this brilliantly. Pros: Sensational looks and amazing distance control, as well as a high ball flight. Cons: Nothing. Not one. For a game-improver, these are as good as it gets. 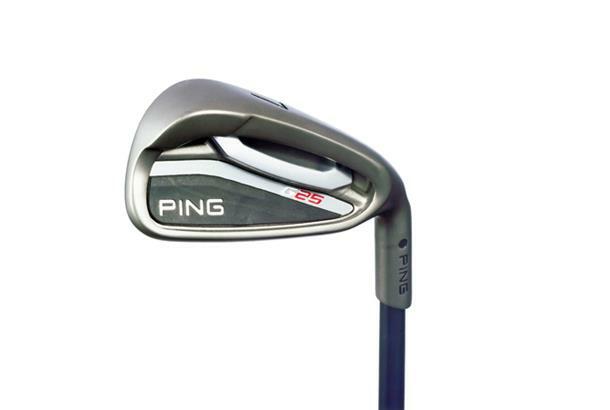 This is the sixth generation of Ping G-Series products and these irons have been engineered for game-improvers. They offer a high trajectory, lots of distance and bags of forgiveness. 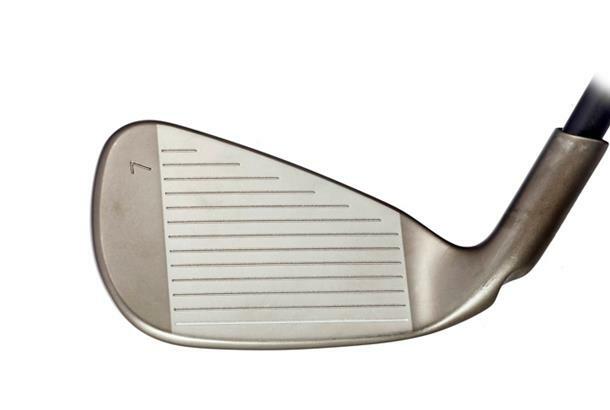 A custom-engineered face structure ensures a solid feel at impact, as well as impressive control. 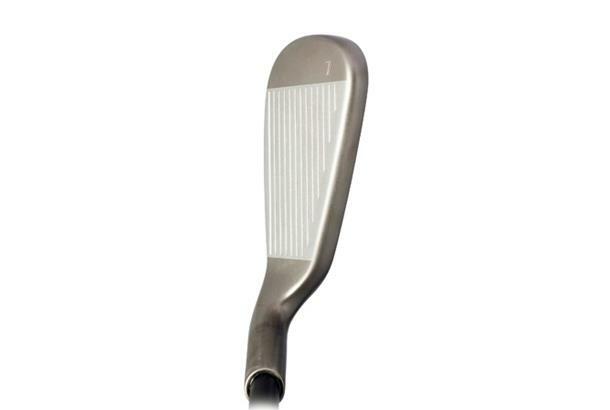 Progressive sole widths optimise CG placement which results in accurate distance gapping. Ping’s legendary customfitting system will get the right shafts to suit your game. As a left handed golfer it is always hard to find decent kit .I had a custom fit on my G25 irons, and the change was a revelation. The looks are , in my view, really nice. No glare in sunny conditions, and little sign of scratched heads so common in polished steel clubs. performance is outstanding ,the distance gapping throughout the set is very consistent, and minimal offset means workability is high. From the fairway, they produce a nice high flight which doesn't balloon and they stop the ball well when hitting into greens with a good degree of accuracy. The short irons are very accurate, I noticed an improvement on dispersion compared to my previous cobra s2 clubs and the wedges complete the line up nicely. overall they are a great set of irons, they may not look conventional, but its all about the performance and what a club can do, not how it looks from my perspective.